Chapter volunteers returned to Thomas Point Shoal Light to continue their preservation and restoration efforts. It was a chilly, sunny day with a chop. 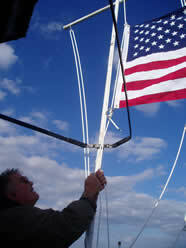 Kudos to the boat captains for getting the volunteers safely to and from the light. Sound like fun? The Chapter's next workday at Thomas Point Shoal Light is scheduled for Spring 2006. To learn more about the Chapter's Volunteer Program, visit the Volunteer page on this site. For A Larger View. 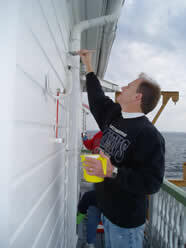 Volunteer Dave Harris works on painting behid the gutter on the lighthouse. For A Larger View. 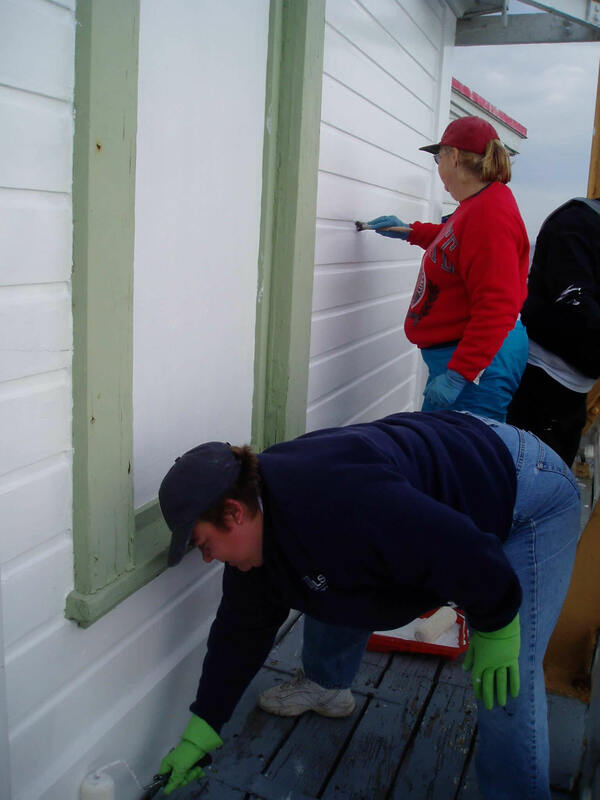 Volunteers add a final coat of paint to the exterior in preparation for the coming winter months. For A Larger View. 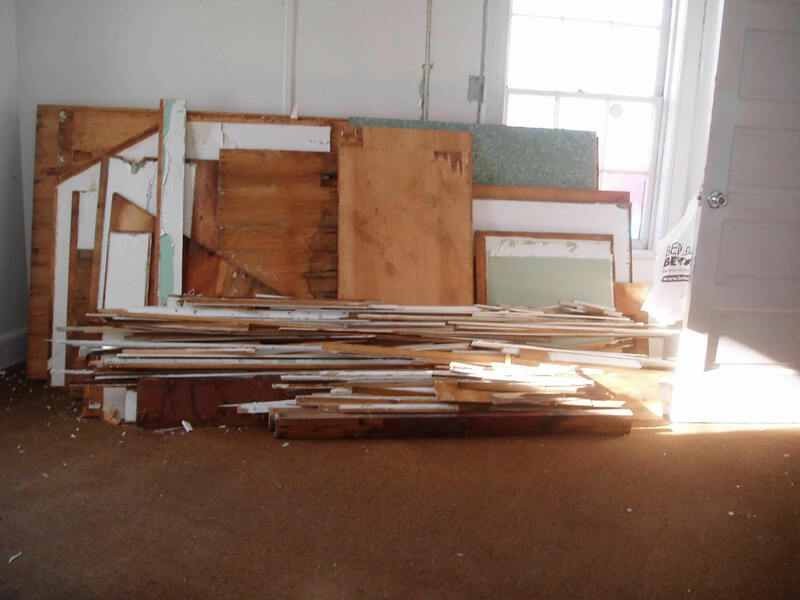 Stacks of plywood, baseboards and trim pieces, with the nails removed, are ready to be cut down for transport. For A Larger View. Tom Wade breaks down the old plywood for transport, by boat, back to shore. For A Larger View. Tom Wade raies the American flag once again over Thomas Point Shoal light! What a proud and thrilling moment for the Chapter. For A Larger View. 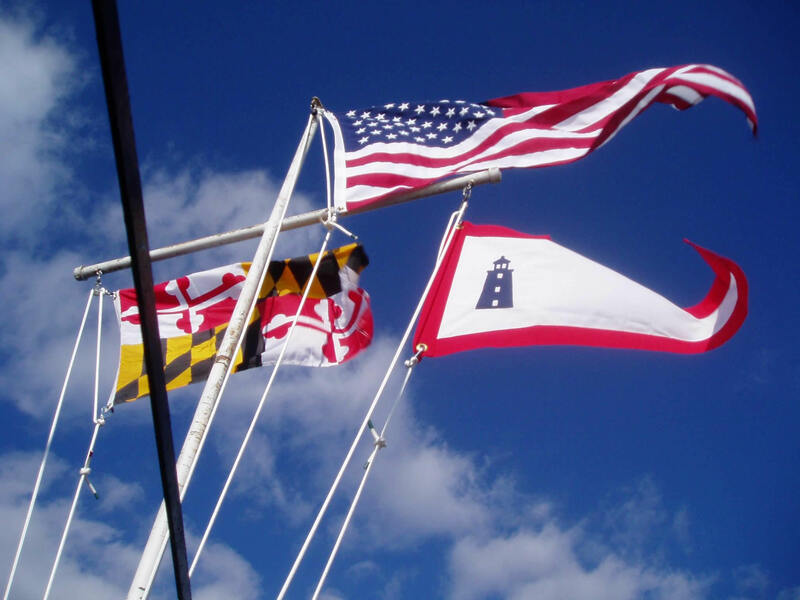 The American, Maryland and Lighthouse Service flags fly proudly over Thomas Point Shoal Light. 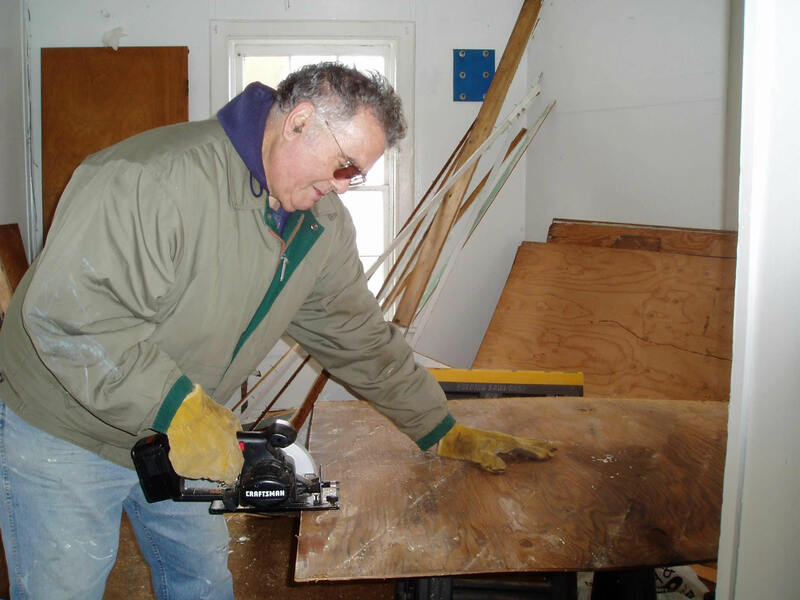 Volunteers call it a GOOD day!